I'm consistently getting a red "Request failed: Bad request (400)" banner error message at the top of the screen when starting up the new app. I still have this problem even after deleting and reinstalling Marriott's malware. Just checked in at the Renaissance Savery Des Moines where the front desk agent greeted me as a "Titanium Elite Premier US Member"...whatever that means. I think that I have the same status but am not certain since I have not Bonvoyed since that became the system. Just what does it appear to you that it means? i Think the meaning is pretty self explanatory. Not at all. We know what SPG Platinum meant. 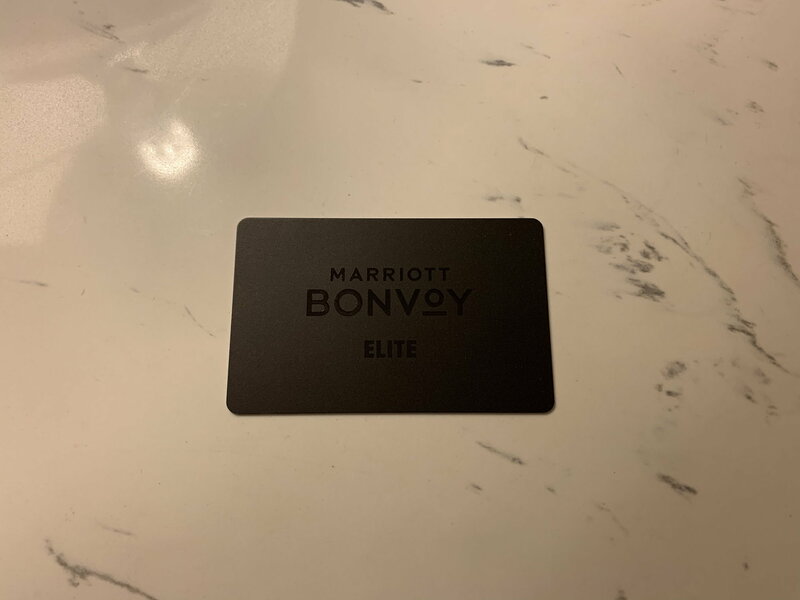 We know what Marriott Platinum meant. We sure do not know what Titanium means after the inevitable status devaluations that have almost always followed mergers in the travel industry. Until one has "Bonvoyed" a few times and seen what he gets, despite the promises from the supplier, it is still mostly unknown. Well, I just made my first stay after the switch to Bonvoy. Can I say that the use of black on everything makes it REALLY hard to find your room keys in your room, especially if the furniture is also black or a dark color. The wording on the keycard is also a tint of black so its as if it in a cloaking field. I'm curious as to why they specified "US Member". Like you, I'm a fan of practical over fashionable, but I do think it looks kind of sharp. KRSW, Twickenham, Antarius and 1 others like this. I agree. They look slick. Is anyone having issues with the cards not working very well? My sample size is too small to really reach any conclusions, but I seem to find it a lot more difficult to unlock doors than usual at the moment. I've noticed from the app that we seem to be separated into "US members" and "international members" - you see it on the phone numbers and I've seen references to it in some communications. Maybe it also comes up on MARSHA? For me, this kind of thing really irrationally winds me up, even if it actually makes no difference. While every property since Bonvoy launched has recognized me as "ambassador," including some properties that just a couple days before the launch recognized me as "platinum," it is still too early to tell how most properties will recognize ambassador. 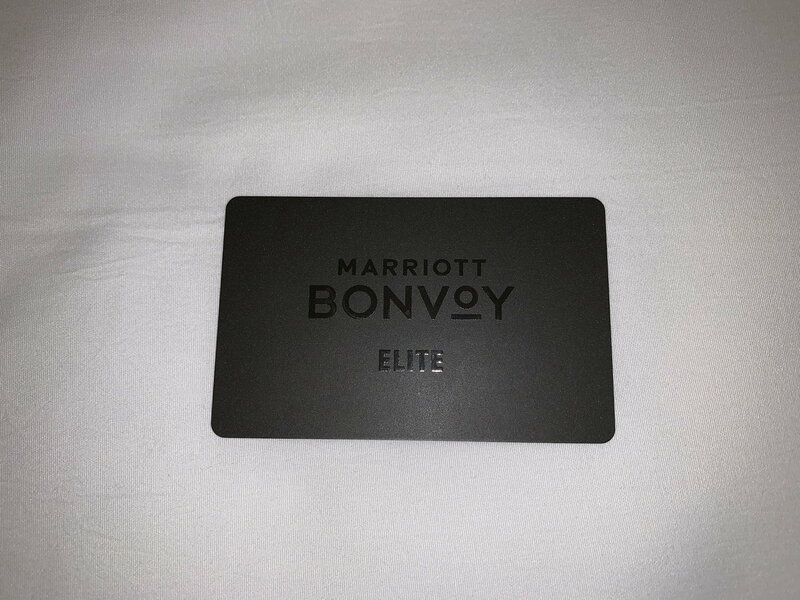 It disappoints me that Marriott didn't use the new program launch to differentiate ambassador from titanium. Properties still refer to the breakfast benefit as the "platinum breakfast" even for ambassador guests. Platinum is now the third-highest elite status. It's the old gold. none for me. I keep it in my wallet and just hold my wallet up. no noticed change between cards. It's all fine and dandy until you place the key and the sleeve, which is also black BTW on top of the black dresser and you spend 15 min looking for it. I did have to tap it couple of times for both the elevator, my room and the concierge lounge.